With the amount of different healthcare plans out there, along with all the junk mail you’re no doubt being bombarded with, choosing health insurance can be a pretty daunting prospect. However, unless you’re fine with ruining your personal finances when life throws you a curveball, it’s a necessary evil! If you’re having a hard time comparing your options, here are some of the main considerations you should go through. There are a lot of popular health plans which will require you to use the insurer’s own network of doctors and specialists. Like many, you might already have a certain doctor who you’d like to carry on going to. If this is the case, then be sure to check first and see if your doctor is included in the healthcare plan you’re mulling over. 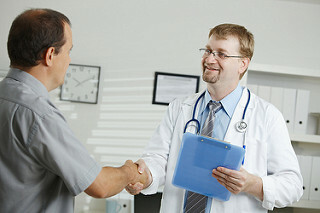 If you don’t have any choice but to switch to a doctor from the insurer’s network, then start researching them instead. Call up the medical office where he or she works to check their credentials, or look them up through the AMA. The doctor’s location and availability are also big factors which need to be considered when you come to choosing your next health plan. You should not only check that they’re conveniently placed, but also that the opening hours of their facility are going to work for you. Perhaps you have a specific medical condition which requires you to see a specialist, or you believe you may need to seek out a specialist in the future. In this situation, it’s important to figure out for certain how you’ll be able to reach this specialist as and when you need to. Like with my first point, it’s a good idea to check whether or not any current specialists that you go to are part of the networks for insurers that are within your price range. You also need to find out whether or not you’ll be required to contact your primary care physician before going to any given specialist. Of course, some rarer conditions are going to have serious ramifications on the health plan you need, and the specialists you’ll need access to. Sometimes, this can require the input of an accountant who deals with insurance consultancy. If you want more information, view it at BSWllc.com. Like countless other people, you might currently be on prescription medication for an ongoing condition. If this is the case or there’s a high chance that you’ll need prescription medication in the future, then you’ll need to narrow your search down to plans that have good prescription drug coverage. Remember that this kind of coverage can vary a lot from one plan to the next. You may get no coverage, complete and universal coverage, but more likely you’ll have to find a plan that’s somewhere in the middle, with different conditions for different drugs or varying co-pays. Furthermore, if you’re unable to get your prescriptions in a generic form, this will have a big impact on how much you’ll pay for each prescription. This entry was posted in Economics, Health. Bookmark the permalink.